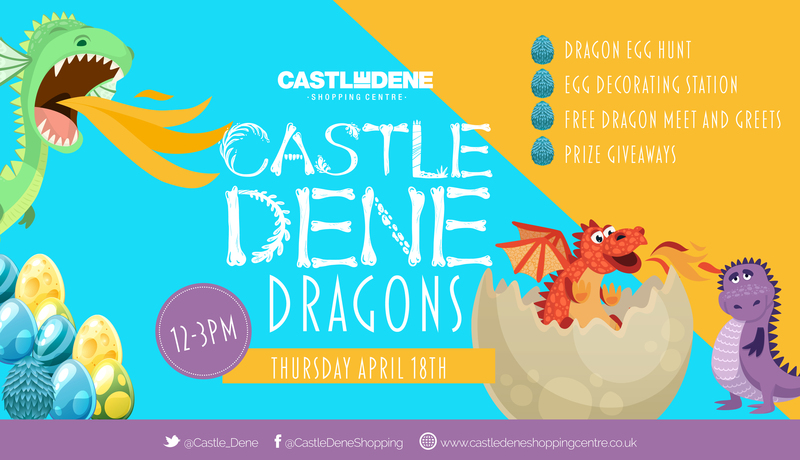 Castle Dene is bringing something a little different to the centre this Easter as we embark on a Dragon adventure. Join us in The Chare on the 18th of April from 12-3 as we host a range of exciting Easter activities including Dragon Egg decorating, Dragon Egg hunts (with prizes of course!) AND Dragon meet and greets, giving you the chance to get selfies with our giant dragons. Be sure to stay tuned on our feed for updates!